Enjoy accurate and vivid colours with consistent levels of brightness no matter your vantage point. 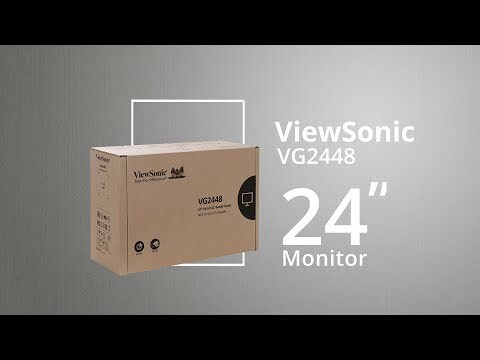 With SuperClear® IPS Panel Technology, VG2448 monitor delivers the same image quality whether you are looking at the screen from above, below, the front, or the side. Designed with the environment in mind, the packaging for the VG48/VG55/VG55-2K series is made with up to 80% recyclable and paper based materials instead of hazardous EPS (polystyrene). Additional plastic materials, such as handles, have been replaced with hand holes and the exterior of the package uses mono color printing.